Motorola's Webtop Docks: Good Idea or Missed Concept? Motorola has announced plans to offer its laptop, desktop, and home theater docks with all its high-end smartphones in the future. The docks, which are currently only available for the Atrix, allow you to use your smartphone like a traditional computer. 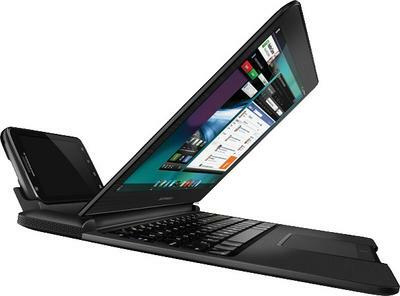 The laptop dock, for instance, is completely non-functional without your phone attached to it – however, with your phone docked, it allows you to surf the web and do most of the things you might from a traditional computer. The docks are pretty pricey. The laptop one runs $500 by itself, or bundled with the Atrix. The dock (and the phone for that mater) aren’t exactly flying off the shelves … but why? At CES (Consumer Electronics Show) earlier this year I was pretty excited about concept of the laptop and desktop docks. I generally get excited about the possibility of any one gadget that can serve the purpose of several. The idea that I could essentially carry my computer around in my pocket was pretty attractive. Theoretically I could dock the phone with my TV to watch Netflix and Hulu (or giant versions of my favorite games), dock it with a huge monitor and keyboard at home while I’m working, and then use the laptop dock while I was out and about. Sounds fabulous. I’ve had review units of the docks for a few weeks now. They absolutely work as advertised, and do a decent job of doing what they promise, but I think my position on them has changed. While I definitely think it’s cool that I can dock my phone in Motorola’s laptop dock and use it as a computer – I’m not exactly sure where you would want to do that. The laptop dock is pretty huge, definitely not a savings space-wise in the luggage department. I don’t know that it’s worth it to tote around a giant dock (that isn’t functional without the phone) and a phone, when I could instead be carrying around my much smaller netbook and a phone. The desktop and home theater dock have me a little more sold. I like being able to painlessly watch content from my phone on my TV. That’s pretty cool. While I don’t know that I would shell out the $200 for the dock/keyboard/mouse combo to make my phone a desktop computer, if I already had a keyboard and mouse (and a solid monitor) kicking around- I might not be opposed to the idea of using it like that. Sure, it’s not a full-powered PC. But, if you’re like my mom, for instance, and only do light web browsing on your PC anyway, it’ll get the job done. We’ve been discussing the docks for a bit now in our fabled company chat room. I think our general thought as a group is that the dock concept (at least the laptop one) is a miss for Motorola, but none of us have actually come up with a way they could have pulled it off that would have been a solid win, and most of us really liked the general concept. 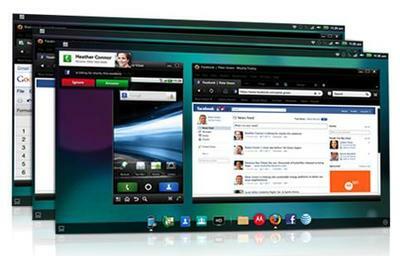 So … what do you think about the concept of he laptop/desktop dock for Motorola’s phones? Can you see yourself using them? Or do you think it’s a bad idea? What do you think would make them more useful?